Larry Dale King, 71, of Milan passed away Sunday, January 20, 2019 at Boone Hospital in Columbia, Missouri. Larry was the son of Clovis Franklin and Gail Maurine (Tipton) King and was born March 11, 1947 in Gary, Indiana. Larry Lived in Crown Point, Indiana until the death of his father, March 9, 1955, who died in a tragic accident while working for Michigan-Wisconsin Pipeline Company. Clovis’ funeral in Indiana was on March 11, Larry’s eighth birthday. Larry and his mother moved to Milan, Missouri where his parents were raised and built a house next to his Tipton Grandparents. They had just moved into their new house when Larry lost his Grandmother, Mae Tipton, on February 14, 1956 and later that year, September 12, 1956 his grandmother Geneva King passed away. Larry graduated from Milan High School in 1965. He then went to work for Banquet/Con Agra foods, where he worked for 34 years until they closed the doors. Larry enjoyed doing genealogy on all the branches of his family and spent a lot of hours searching cemeteries and going to different libraries doing research. He also volunteered at the Sullivan County Genealogy Library every summer. Larry also liked doing research on the cemeteries in Sullivan County. He put together a cemetery book, which was in Sullivan County Library and Genealogy Library. He had been to every cemetery he could find, around 116 cemeteries. He cared about all the pioneer cemeteries, hoping the owner of the land cemeteries are on, would take better care of them and would try to preserve them. As Larry neared his 50th class reunion, he put together a class history book. Larry had a love for old cars, especially Chevys. His first new car was a 1972 Chevelle Malibu, then came the “1971 Chevy Cheyenne pickup” which won him many 1st place trophies at Milan Old Timers Car Show. He had this Chevy for 38 years!! Also close to his heart was his mom’s bright red ‘63 Chevy. Larry had several great pets over the years; dogs Stubby, Rover and Taffy a registered Pekinese; cats Smokey, Tiger, and Suzy. Larry grew up watching westerns on Saturday mornings and Saturday afternoon matinee at the movies. His favorites were Roy Rogers and Gene Autry. Larry got to go to the Roy Rogers Museum in Branson, Missouri before it closed. After retirement he got the western channel so he could watch them all over again. Larry was preceded in death by his parents, Clovis and Gail, a stillborn sister Sharon Elaine and stillborn brother Shirley Dean, his grandparents John Kessenger and Josie Mae (Dennis) Tipton and James Harrison and Geneva (Coffman) King. Larry is survived by a host of cousins. 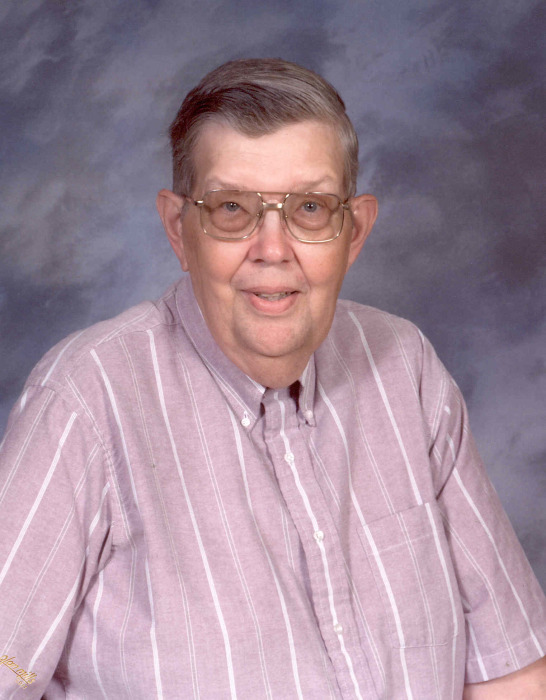 Larry was raised in the church and was a member of the Milan Christian Church since 1957. Funeral services for Larry will be held at 2:00PM, Thursday, January 24, 2019, at Schoene-Ruschmeier Funeral Home in Milan, Missouri. Burial will follow at Oakwood Cemetery, next to his parents in Milan. A visitation is scheduled for 6:00 to 8:00 PM, Wednesday evening, at the funeral home. Memorial contributions are suggested to Oakwood Cemetery.